The Berkshires of western Massachusetts offer something for everyone, no matter the season. Why, the things to do in Lee MA alone could keep you busy! Applegate Inn is a four-season retreat located in the town of Lee, in the heart of the Berkshires. Our diverse and beautiful region is well worth exploring, and Applegate Inn makes the perfect “home base” for just such adventures. We like to say that there’s always something to see or do in the Berkshires and it’s absolutely true. Between the area’s natural beauty and world-class offerings like the Tanglewood Music Festival and the Norman Rockwell Museum, you’re likely to spend more time figuring out what to miss than what to see. There is never a bad time to visit the Berkshires but Applegate Inn’s collection of lodging specials sure makes taking a Berkshires getaway easier on your wallet! Autumn may be one of the best times to visit the Berkshires. The summer crowds are gone, the fall colors are lovely, and there are still plenty of things to see and do in the area. Plus, with the end of the year holidays coming up, now may be your last time for a break until the new year! It was with this in mind that we created our Berkshires getaway lodging specials. Posted in Romantic Berkshires | Comments Off on Treat Them To A Valentine’s Day Getaway in the Berkshires! Don’t Miss Stockbridge Main Street at Christmas 2017! Come experience a classic, Norman Rockwell painting come to life during the annual Stockbridge Main Street at Christmas 2017 – December 1st and 3rd, 2017! Visitors to our neck of New England often remark that many a view before them looks as if it could have come straight out of a painting. Sometimes they are spot on. Many scenes in the Berkshires have starred in famous works, particularly those of Norman Rockwell. As you may already know, Rockwell spent the last 25 years of his life in Stockbridge and the town is home to the Norman Rockwell Museum. You’re undoubtedly familiar with Norman Rockwell’s famous “Home for Christmas (Stockbridge Main Street at Christmas)” painting. The 8-foot-long work has come to symbolize Christmas in America and is one of Rockwell’s more famous pieces. The town of Stockbridge returns the favor of being immortalized with an annual celebration of the painting, the artist, and the town itself! A big part of Stockbridge’s charm comes from the fact that it has changed so little over the decades. This makes re-enacting the scene from Rockwell’s famous Christmas painting that much easier. The scene is so convincing, in fact, that visitors can be excused for feeling like they’ve accompanied one of Dickens’ ghosts to a Christmas past! But Stockbridge Main Street at Christmas 2017 is so much more than just a simple recreation of a painting. It’s a weekend of fun activities. Gather ’round to hear classic stories of the season presented by the Stockbridge Library, Museum & Archives held at the library. Free Admission. Take self-guided tours of historic homes: Blantyre, Eastover, Naumkeag, Historic Merrell Inn, Charles Owen House, and The Old Rectory. Tickets are available in advance through Stockbridge chamber or on the day of at the Red Lion Inn. Meet in front of The Red Lion Inn on Main Street with your candle or flashlight and join the festive caroling followed by a Luminaria walk to the First Congregational Church. A joyful holiday musical program by the Berkshire Lyric and the Blafield Children’s Chorus held at the First Congregational Church. See America’s Main Street at Christmas-time the way Norman Rockwell did, complete with vintage automobiles, costumes, and more. Visit stockbridgechamber.orgfor more details and tickets. Applegate Inn is a historic Berkshires B&B located just minutes from Stockbridge and a great many other attractions. In fact, our convenient location makes exploring the Berkshires a snap. 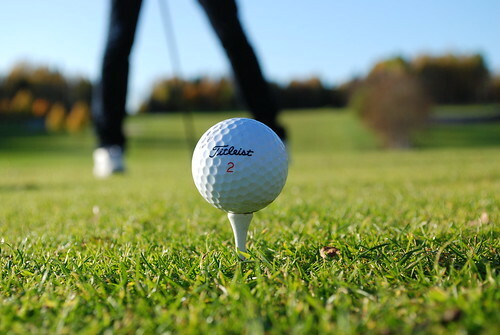 Of course, our amenities are so plush and numerous, you may find yourself not wanting to leave! Book your holiday getaway at Applegate Inn now and treat yourself to the best hospitality in the Berkshires! Posted in Berkshires Holidays | Comments Off on Don’t Miss Stockbridge Main Street at Christmas 2017! Give that special someone the gift of a Berkshires Valentine’s Day getaway with Applegate Inn’s romantic lodging specials and packages! The Berkshires are uniquely suited to expressions of romantic love and affection. From the lovely lay of the land to the quaint New England towns to the broad array of restaurants, theaters, and museums, the Berkshires have it all. Applegate Inn, rated as the best place to kiss in the Berkshires, is proud to be a part of this scene. Come enjoy all that is on offer with our Berkshires Valentine’s Day specials! Experience America’s golden age through the eyes of Norman Rockwell. The annual and beloved Stockbridge Main Street at Christmas celebration is scheduled for December 2nd through the 4th, 2016. Norman Rockwell’s painting of the Stockbridge during Christmas season is one of his more famous works. That fame has spread to Stockbridge as well. The town returns the favor every year by recreating the famous scene – and you’re invited! What do Tom and Jerry, Scooby-Doo, The Flintstones, Yogi Bear, and Jonny Quest all have in common? They’re all at the Norman Rockwell Museum in Stockbridge! Come see Hanna-Barbera: The Architects Of Saturday Morning, November 12th through May 29th, 2017! If you have spent any time watching cartoons on your television since 1957, you’re undoubtedly familiar with the work of William Hanna and Joseph Barbera. From “The Ruff and Reddy Show” (1957) to “The Powerpuff Girls” (1998), the list of properties they’re responsible for bringing to life is astounding. Given this rich history, it is surprising to learn that the current exhibition at the Norman Rockwell Museum is the first ever to focus on this award-winning animation team. Hanna-Barbera: The Architects Of Saturday Morning focuses mainly on the animation studio’s golden years: classic shows like those already mentioned and Huckleberry Hound, Quick Draw McGraw, The Jetsons, Magilla Gorilla, Top Cat, and The Herculoids. Take Advantage Of Our Berkshires Fall Lodging Specials! Escape from the doldrums of your workday world to the beauty and culture of a Berkshires getaway with the help of Applegate Inn’s Berkshires Fall Lodging Specials! Autumn in the Berkshires may star world-class fall foliage but that’s hardly the only delight on the menu! Other inducements include smaller crowds, fun festivals, plenty to see on the stage and in the galleries, and our fall lodging specials! Let Applegate Inn help you to recover from your post-summer blues with the picture-perfect respite. Our Berkshires Fall Lodging Specials make it even easier! Posted in Berkshire Bed and Breakfast Specials | Comments Off on Take Advantage Of Our Berkshires Fall Lodging Specials! Step into one of Norman Rockwell’s most famous paintings at the annual Stockbridge Main Street at Christmas Weekend, December 5 – 7, 2014! Stockbridge, Massachusetts is like many small towns in the Berkshires: quiet, friendly, quaint, and so picturesque it looks like it could be right out of some Norman Rockwell painting. Edward Hopper’s realist paintings are touchstones of the American twentieth century. His images have become an integral part of the very grain of the American experience, and his work continues to reflect and express classic American scenes and sensibilities. How ironic is it, then, that his career as illustrator, which came after his first, one-person exhibition of paintings in 1920, is largely ignored and glossed over? The New York Times calls the Jacob’s Pillow Dance Festival “the dance center of the nation” and you’d be hard pressed to find anyone who would disagree with that. Started by modern dance pioneer Ted Shawn in the 1930’s, Jacob’s Pillow Dance Festival is America’s longest-running dance festival, has been designated a National Historic Landmark, and is a recipient of the National Medal of Arts. Jacob’s Pillow Farm, named after a large, pillow shaped rock on the property of this rural Massachusetts acreage (the zig zag road leading to the farm was referred to as “Jacob’s Ladder” so … ), was purchased by Ted Shawn in 1931 as a retreat for the first US, male dance company. Ted Shawn hoped to help expand the role of men in modern dance and ended up not only doing so but also establishing a far greater appreciation and awareness of modern dance in the US in general. Have you ever wished you could visit a painting? Seen an image to warm and resonant that you wished you could just stroll right into it? Well, you can! Norman Rockwell’s famous painting, “Stockbridge Main Street At Christmas,” comes to life on December 8th in Stockbridge, MA. Spend an afternoon walking among robots on the grounds of the Norman Rockwell Museum. Autumn in the Berkshires is living art. The landscape is a canvas of colors – red, russet, orange, yellow, green, blue… It is interactive art at its finest. The Norman Rockwell Museum has integrated this natural art into one of its exhibits. “An Outdoor Installation for the 21st Century” has been at the museum all summer and it lingers to stand against a backdrop of fall foliage. It will close October 31, 2011. Have you seen the 2005 film Robots? If so, you have some idea of what you’ll find on the grounds of the Norman Rockwell Museum. Artists and craftspeople from all media were invited to submit sculptural robots inspired by the the film. The robots stand in stark contrast to the traditional paintings inside the museum, and the pastoral landscape surrounding it. 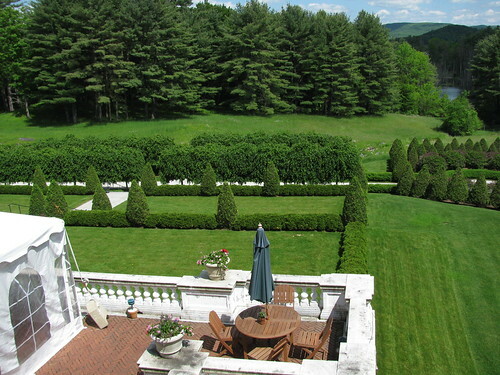 Come spend a few days at our Berkshires Bed and Breakfast. The Applegate Inn is located in Lee Massachusetts, just a few miles from Stockbridge and the Norman Rockwell Museum. It takes about fifteen minutes to drive to the museum from here, and less than 45 minutes to bike there. 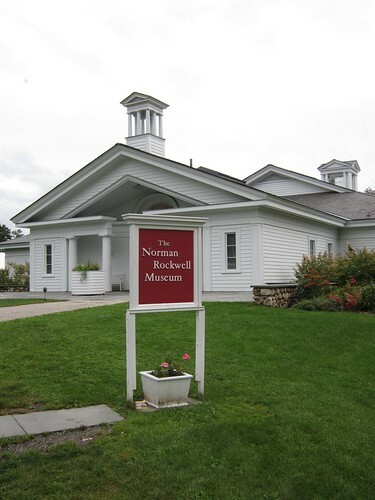 For more information about “An Outdoor Installation for the 21st Century”, please visit the Norman Rockwell Museum. To book a room, please see our Berkshires Bed and Breakfast reservation page. Bring your mom to our luxurious Berkshires B&B. Most mothers don’t go into the business of motherhood for the glory. They don’t become mother’s because of the great pay and the good hours. They do it for love. In truth, rewards of motherhood are many and great. Cuddles are priceless, as is the joy of watching a child grow. Yet from time to time it’s nice to show our mothers how much we appreciate all they’ve done for us over the years. This can be done in many ways, with a bouquet of flowers or a card. 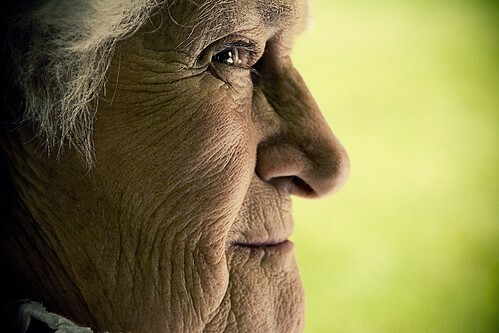 But the most meaningful way may be to give back a little of what mom gave to you – time. Valentine’s Day falls on a Monday this year. What a wonderful excuse to whisk your Valentine to our Bed and Breakfast Berkshires for a long, romantic weekend. Cuddle by the fire while you're here. We do. Take advantage of our Berkshires Romance Package, which includes two nights in a room with a fireplace, chocolate and champagne, and a sumptuous three-course dinner for just the two of you. Please see our Bed and Breakfast Specials for more details. A romantic getaway means different things to different people; fortunately our corner of the Massachusetts Berkshires has an abundance of outdoor recreation, cultural activities, and fine dining. Spend your days skiing at Catamount Ski Area, Jiminy Peak, or the Canterbury Farms Cross Country Ski Center. See the latest exhibits at the Clark Art Institute, MASS MoCA, or the Norman Rockwell Museum. Our guests are always welcome to simply relax at our luxury Lenox MA lodging. Play games, play the piano, or cuddle by the fire as much as you like. Our goal is to help you enjoy a wonderful romantic Valentine’s Day with the person you most love.